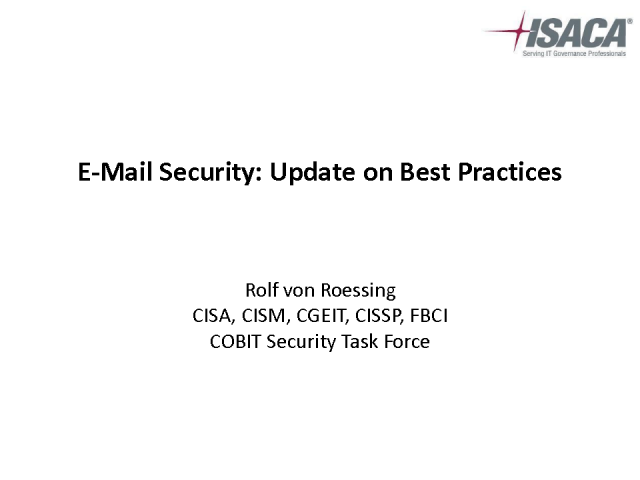 Rolf von Roessing is going to present on best practices of securing e-mail services within large enterprises. Rolf is going to talk about main threats and risks including mail body, mail attachements, and securing servers. He is also going to discuss a number of case studies and introduce you to resources and services available at ISACA.